We know that BIRT is a lightweight reporting tool. Here we will show how to incorporate chart like pie chart, bar chart, line charts and others. The BIRT charting is an integral part of data summation, data summation, and analysis and data management. BIRT introduce an excellent combination for charting, allowing diverse chart types such as bar charts, pie charts, line charts, scatter charts, and stock charts. By using this chart we can preview the data in our required optimization way. Each chart type is also customizable, offering a wide valid range of features to better represent data. The preview is very glossy and mind blowing. Here we will show an example how to represent a birt chat report. That example mentions the use of BIRT's integrated charting information within the report designer. The example builds a two-dimensional pie chart and summarizing product revenue by product line. This is the screen shot of Bar chart. 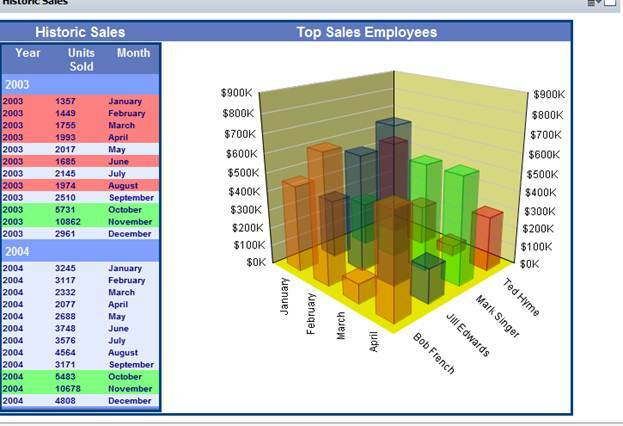 Figure 1: This is the screen shot of Bar chart. This is the screen shot of Pie chart. Figure 2: This is the screen shot of Pie chart. If you want to pass any parameter; you can send it through the jsp page. The BIRT development environment generally includes a report designer, a charting engine, and a run time environment and much more fixtures. By using the java script code, you call a birt report viewer. Birt Framework has the building facilities to run Birt report internally. This above script uses to preview the birt report. Now, we show a Jsp page. The Jsp page is used to preview the Birt report, which contains pie char. ‘String viDocId=String.valueOf(request.getParameter("docId"));’ use to receive the parameter that provide by a jsp pages. Therefor in than way, you can manipulate your parameter and able to pass it within the birt report design and layout. The birt viewer ‘birt: viewer’ opens the birt report. Within the birt viewer tag, you can put the Birt report name that you want to preview when you run it. Listing 2: Now, we show a Jsp page. BIRT is an open source reporting tools. It is very user friendly and quite lightweight. BIRT provides core reporting feature such as report layout, data access and scripting, chats, bar, some others facilities as well. We can try BIRT to building report easily. We can use the Business Intelligence and Reporting Tools like BIRT report development tool to develop a range of reports. When you design the report, vary on your requirements, you can design the chart what you like to add. It provides an excellent feature to add the chart by dragging option. You need to connect the data source name with the pie chart. We know there is two dimension in the pie chart, as one is ‘X’ dimension and the other are ‘Y’ dimension. We need to assassin the table field with the each dimension. This way helps us to create a Birt chart report and this is very user friendly. If we are going to run the report, we will get a glossy view of BIRT chart report.By this was we can add any chart in any BIRT report. Here we preview a Birt two dimensional report. We can design and manage any report depending on our requirement. We can put any css style and able to add any scripting language on the Birt Chart report. In this preview, we show two dimensional Birt chart report.To make the report colorful, you can use cascade style sheet with it and able to design it as per your requirement. In this way we can preview and run a Birt chart report. Figure 3: Birt two dimentional report.